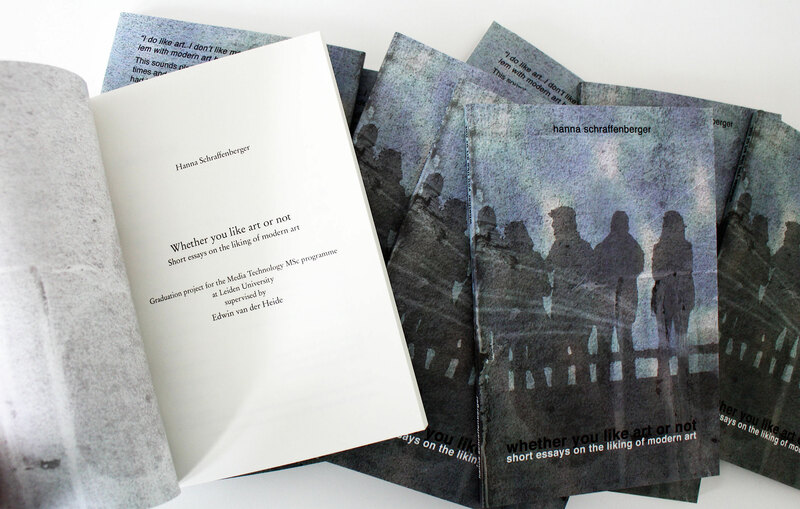 Whether you like art or not – Short essays on the liking of modern art (2011) is my Media Technology MSc (Leiden University) graduation project. Personal observations made in art museums, galleries, museum shops, at the dentist’s office and on the Internet serve as a starting point for a series of short essays exploring the liking of modern art. Questions such as whether bad art can be liked are raised and responses to exclamations like “My kid could have done that!” are given. The influence of technology, perceived effort and skill, viewing context and understanding of the creation process on the liking of art is explored in an entertaining way. 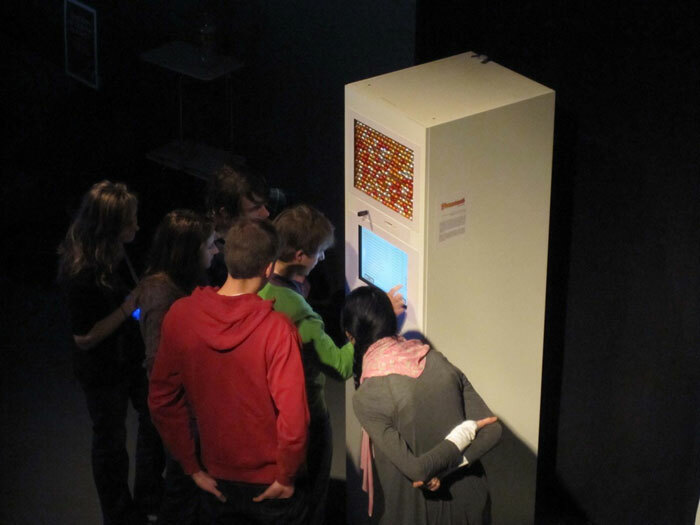 Whether you like art or not combines aspects of research, technology, literature and modern art and has been presented in Leiden several times – for example in the context of the Media Technology exhibition in January, at the museum ‘De Lakenhal’ in February, and at Leiden University’s This Week’s Discoveries-lectures in April. 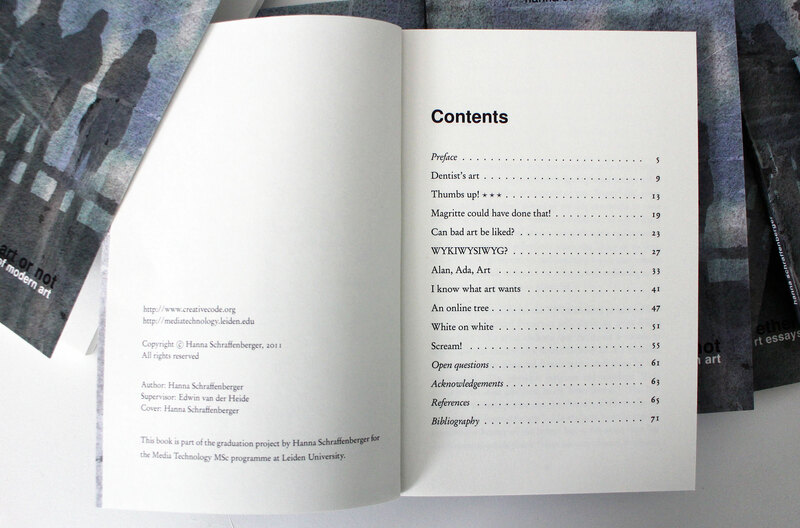 The project has been published as a little book in a limited edition of 90 copies. Contact me if you would like to receive one of the last available copies.